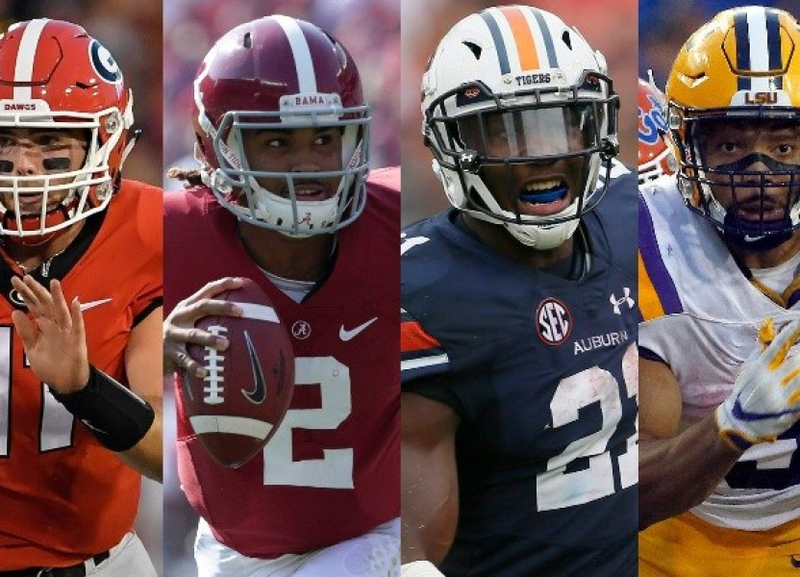 What will the SEC’s Bowl Record be in 2017? Last year the SEC went just 6-7 in bowl play including Alabama’s loss to Clemson in the CFP National Championship. The worst part for the Southeastern Conference Fans is that we not only had to watch the ACC take the national championship, but they also finished bowl season with a 9-3 record (going 4-1 against the SEC). Last year we put 12 teams into the bowl mix, compared to just nine this year. That is really because we don’t have a great middle class in the SEC right now. You’re either good, bad, or South Carolina. SEC teams lost 10 non-conference games in 55 matchups. 70% of those were by teams with 4-4 conference records or worse. Auburn, Kentucky, and South Carolina also all had one loss (Clemson was responsible for two of those). 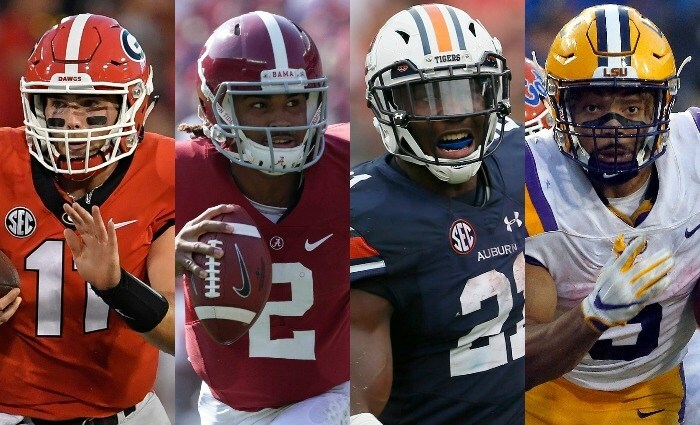 So let’s get down to brass tacks…will the SEC do better this year in Bowl Games? Probably not…that’s because we are playing a bunch of really good teams. The average SEC Opponent is ranked 18th according to ESPN’s FPI. What is the FPI ranking of the average opponent for the ACC? Funny you should ask. Well it’s a whopping 38! C’MON MAN! Southern Miss, Northern Illinois, and Navy (ewwww). I guess playing Group of Five teams still counts towards your bowl record. Meanwhile, the SEC is playing all Power Five opponents except for UCF because we were mandated. We also have representation at three New Year’s Six Bowls. All that aside, the outlook is not good for the SEC’s overall record. We need a National Champion to save our bowl bragging rights. Missouri has been responsible for ending not one, but two SEC Coaches Tenures this year (Butch and Bielema). I don’t expect the Longhorns to be able to keep up with Drew Lock and the Tigers. He is one of the most prolific passers in the FBS throwing for 3,695 yards with 43 touchdowns and 12 interceptions. They have won their last six games after starting 1-5. A&M’s coaching staff is on the way out the door. The team may want to send them out with a win, but I don’t think it will be enough to stop the Demon Deacons. QB John Wolford finished the regular season with 35 touchdowns and more than 3,400 yards of offense. Dave Clawson has managed to bring Wake Forest out of the pit of misery. He has gone from three wins in each of his first two seasons to seven in the last two. Also, The Belk Twitter Account is pretty entertaining! Despite this bowl being #7 on the “Best” Bowl Names of 2017, this is another matchup doesn’t look good for the SEC. Kentucky hasn’t won in the postseason since 2008. Northwestern is on a seven-game win streak and looking to achieve 10 wins for the third time since 2012. This game will be better than their first meeting in 1928 where Northwestern won 7-0. Northwestern’s Justin Jackson has gained more than 1,000 yards in each of his four seasons. The Bulldogs will be without quarterback Nick Fitzgerald and former head coach Dan Mullen. Louisville quarterback Lamar Jackson, the 2016 Heisman Trophy winner, was arguably just as good this season. Pick: Louisville Slays State’s Taxes. Khaki wearing Jim Harbaugh vs. drenched-in-sweat Will Muschamp. The Gamecocks rank 108th in total offense, while the Wolverines were only 101st. This will be a defensive contest. Michigan is 8-5 against SEC opponents in bowl games and 25-8-1 overall. I like an underdog as much as the next guy, but Auburn is too good for UCF. They defeated Georgia and Alabama in the regular season and will take out their frustration of not making the playoff on the Knights. Auburn’s defense will be able to slow down Scott Frost’s prolific offense. Kerryon Johnson should be able to run all over UCF’s mediocre defense. If you don’t remember, Gus Malzahn was on the coaching hot seat midway through the year. Fans in Alabama are brutal and a loss to a group of five team will not be good. Playing the “we almost made the playoff and won the SEC West” card won’t work, just ask Jim McElwain. Both teams are 9-3, but the Tigers are trending in the right direction. Remember two months ago when Notre Dame was the hottest team in the country and LSU lost to Troy. LSU will win with defense and avenge their 31-28 loss to Notre Dame in the 2014 Music City Bowl. As Ed Orgeron would say “Mmmh ah ya tru paa football n gumbo”. Gotta love that guy! Baker Mayfield’s high powered offense vs. Kirby’s Defensive Dawgs in “The Granddaddy of Them All.” What makes it better is that these two blue-chip programs have never played each other. Mayfield proves why he won the Heisman and outscores inexperienced QB Jake Fromm on this big stage. Alabama’s an underdog? Nick Saban loves it and he will use it to motivate his much healthier team. Kelly Bryant is not Deshaun Watson. Jalen Hurts was one second away last year and will finally get the offense to move the ball on third down. I’m taking Nick Saban and the Tide in installment three of one of college football’s greatest trilogies. I will break down the National Championship once it gets closer, but I a predicting an SEC Victory. Overall, I don’t see us doing better than 5-5 this year. Who knows though, maybe South Carolina and either A&M or Kentucky will win in a slight upset (they are all underdogs with A&M at +3, KY at +6.5, and SC at +7). Odds are if that happens LSU will let us down and the overall record will end up being the same. I think that we will be hard-pressed to win more than 5 games this year.